I had some tinned Cherries and Cherry jam in the cupboard, with a view to making another recipe I had in mind, but decided to try this one instead. It is not a Crumble in the true sense of the word, as it doesn’t contain flour. However, inspired by the fact the Crumbles will be coming into their own shortly, I thought I would get a head-start on the comfort food recipes. 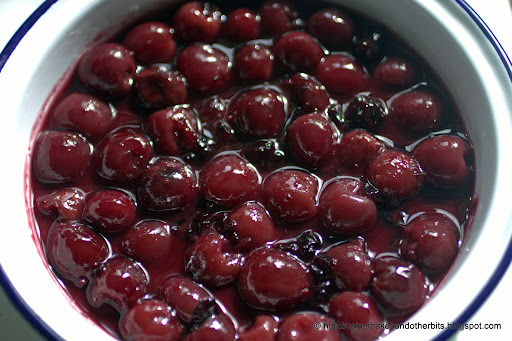 For the filling, place the cherries and jam in an oven-proof pie dish. Mix the arrowroot with 1 tablespoon of the reserved juice. Pour into the pie dish, mix well and set aside. For the topping, chop the Macadamia nuts, flaked almonds, and hazelnuts together, and mix in the dessicated coconut. 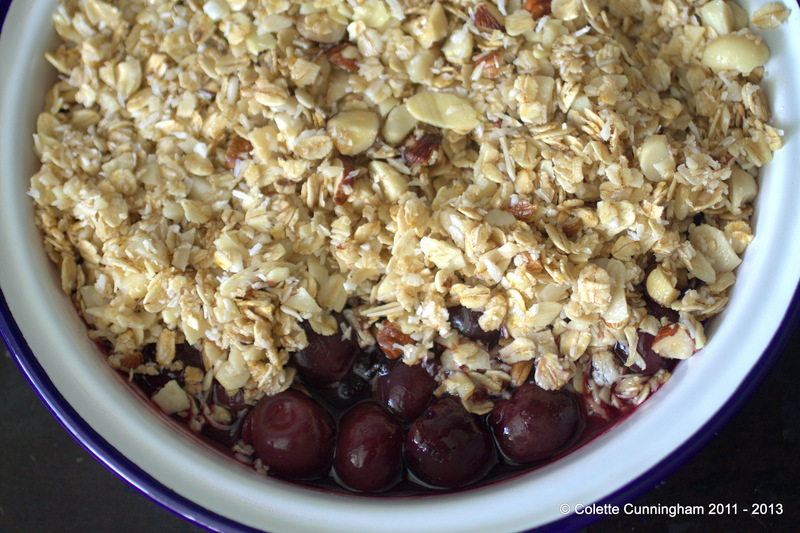 Place in a bowl along with the oats mix together, add the oil and sugar. Mix again. Spoon the topping over the filling and bake for about 20 minutes until the top has browned and the fruit is bubbling around the edge of the pie dish. Serve with either fresh cream, custard, or greek-style yoghurt. That looks scummy! Adore crumbles even if it isn't a true crumble it looks like one with that delicious topping, yum.